Girls with naturally curly hair know that the seemingly wash-and-go ease of the style can be a tad misleading, particularly when trying to combat frizz and the arid conditions of winter. What can be incredibly easy in the spring can be unmanageable when you add in blasting indoor heat, freezing outdoor weather and everything in between. Between frizz and oversized texture, curls can be a bit tricky in the colder months. That’s when you need a little bit of help. We rounded up some of the best experts in the hair care industry to give their quick tips on how to manage your mane when it comes to cold weather curls. “Use a t-shirt to dry your hair instead of a plastic shower cap. Put the t-shirt on, then pull it over your head, leaving the shirt around your hairline, and just twist it up into a turban or knot shape. This will keep moisture out and protect hair from frizz. Also, be sure to only use the palms of your hands when applying pomade, serum or hairspray to tame frizz or flyaways; combs, brushes, etc. can cause more frizz by erupting the entire curl. “Winter dryness is the ultimate enemy of curly hair, but your haircut and the products you use can make a big difference. For your best winter cut, I always take the layers shorter (even if hair is long) by creating shorter pieces around the face, which keeps the hair super healthy and frizz free. The shorter it is, the healthier it is and the bouncier it gets. I like to be more aggressive with cutting in the winter to get bouncy curls with movement. “After you shower, gently squeeze your hair to dry it (rubbing or shaking to rough up cuticles and disturb the curl). If you’re in a hurry, use a tissue to scrunch dry, then add a leave-in conditioner for a moisture boost. Avoid touching or brushing your curls too much, especially after you style your hair. The more you play with it, the more it will frizz. 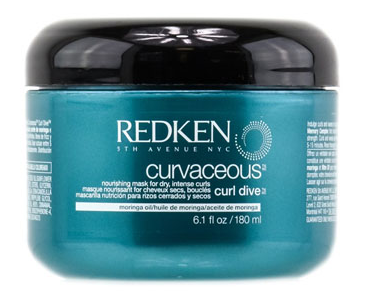 Add product to redefine your curls if you experience frizz. I recommend carrying reactivating spray in your purse to combat frizz on the go.